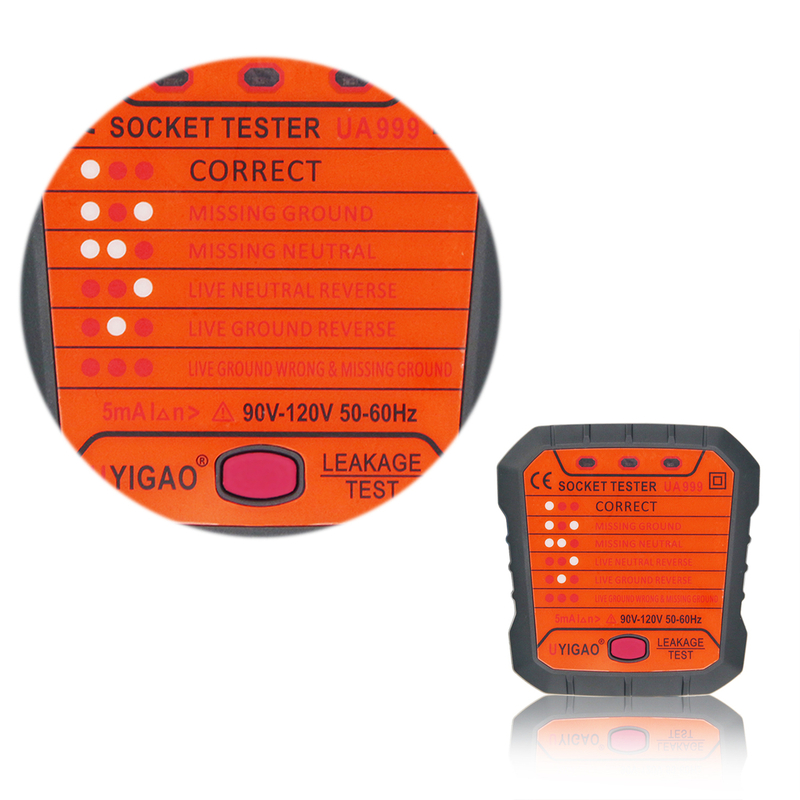 - Advanced socket tester for rapidly detecting whether the socket's wire connection is correct or not. 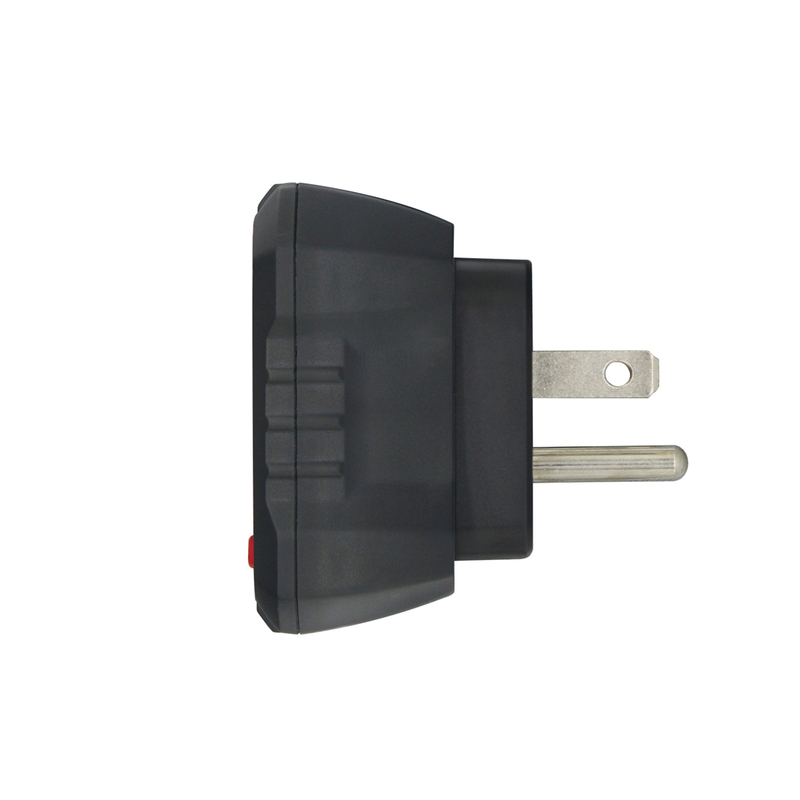 - It can test the protection system to ensure the household electrical safety, perfect for protect your security against the risk of electric shock. 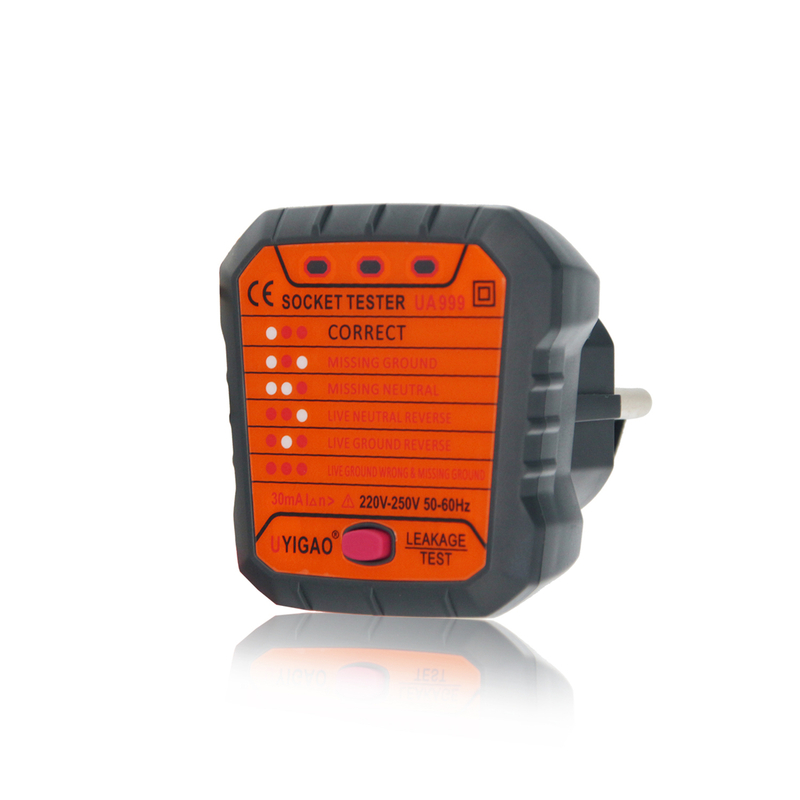 - Detect whether neutral, live and earth wire is connected correctly and to indicate which wire is missing with clear light patterns. 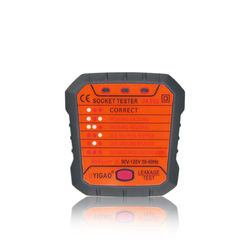 - The light patterns are well labeled on the surface of the socket tester, easy and fast to read the test result. 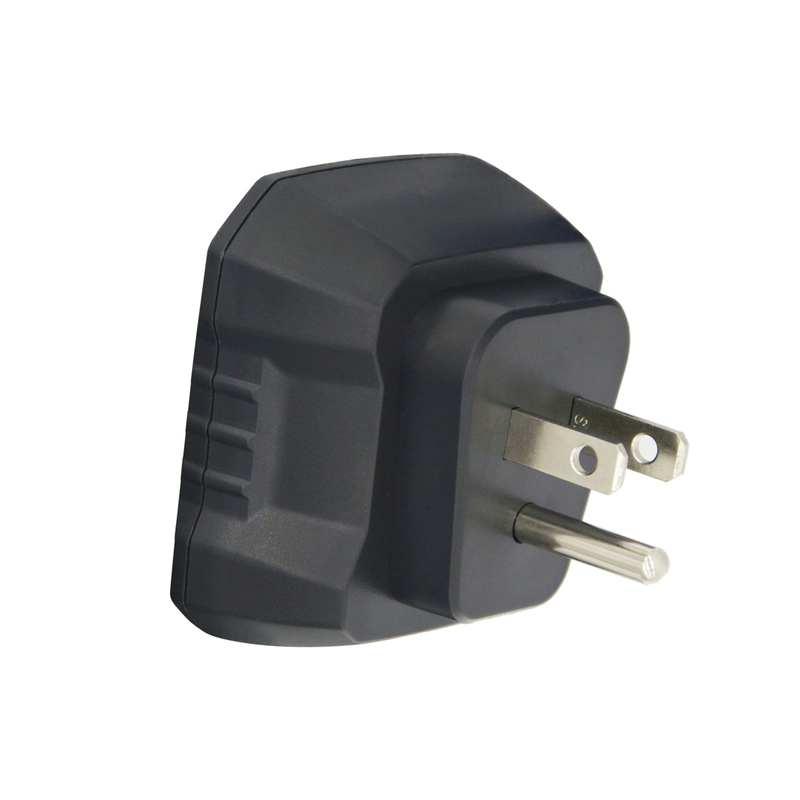 This product is used to detect whether the power outlet poles are properly connected as required, as well as household electrical protection system is normal or not. It can timely fault in order to troubleshoot failures and safety hazards to ensure that household electricity safety. Plug the socket tester into the socket under test to observe the display status of the three LED lights on the panel of the tester. According to the fault status table corresponding to the display status, you can know the connection status of the socket under test. 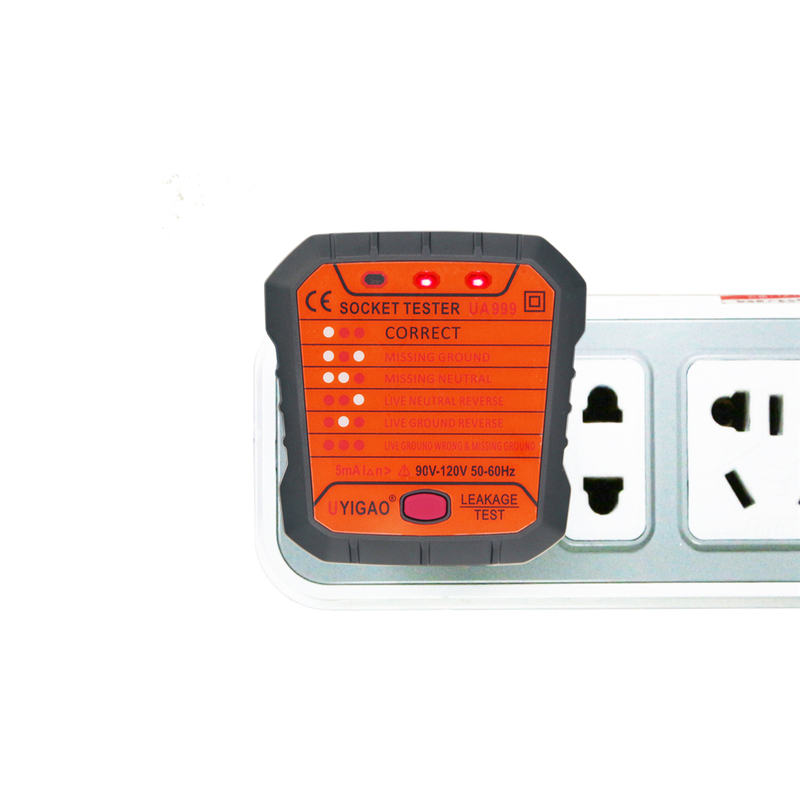 If the test results of the above 2.1 items are normal, press the leakage protection detection button on the panel, the leakage protection switch will trip the power off (the air switch is not controlled). If the leakage protection switch has no action, please contact the professionals overhaul. 2) Before testing the power protection system, please turn off all powered devices and confirm that the power failure will not cause any harm. This test is forbidden in public places without permission.